It seems that women have equal rights in art. Masculine / feminine division has lost its meaning. Thinking this way we fall into a blissful mindlessness for why would we need any reflection on a problem that does not exist. 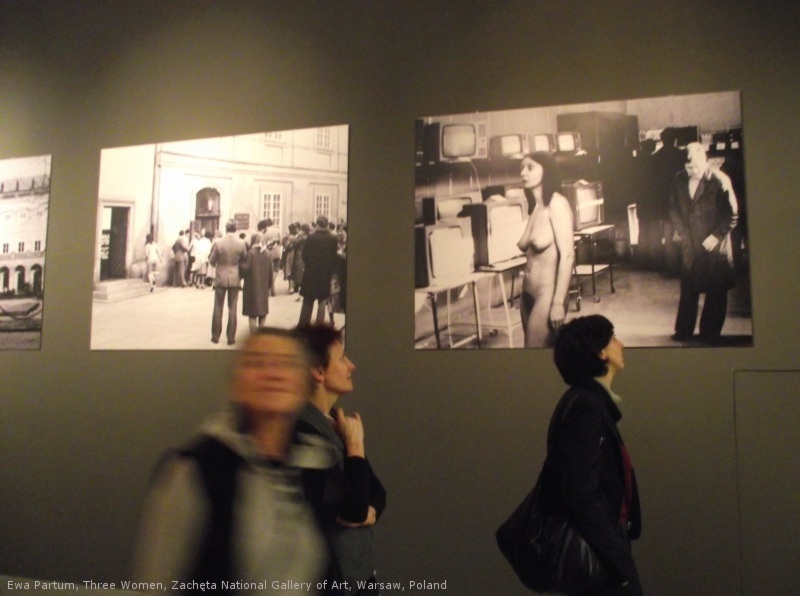 Two exhibitions about women in Polish art of the 70s and 80s coincided in time and place in order to disturb this peaceful ignorance: an exhibition titled Three Women in the Zacheta Gallery in Warsaw and the Fading Traces exhibition by Anka Lesniak in the Lokal 30 Gallery presented for a short time. 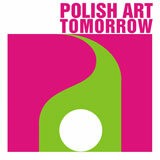 These two shows revise 40 years of women’s existence in Polish art. Three Women is also the title of Robert Altmann’s movie about the loneliness and dilemmas of three women, whom fate connects in a common story. 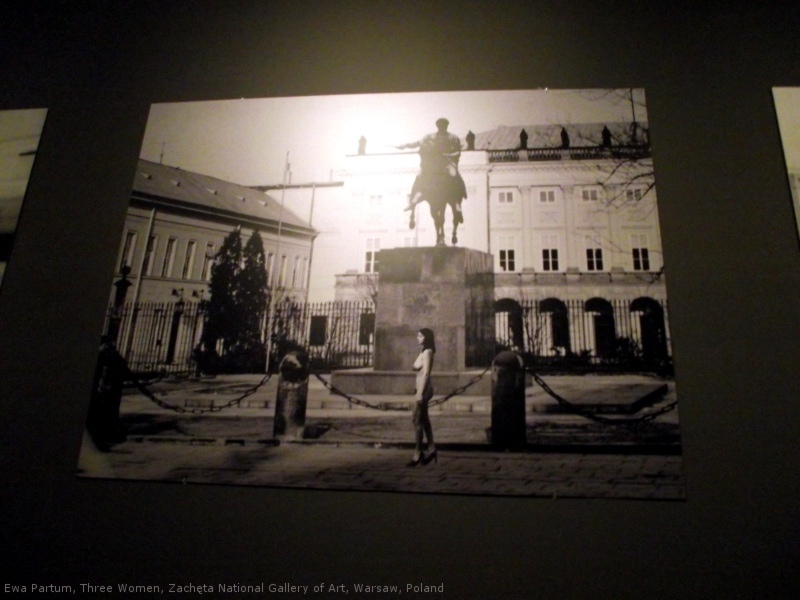 Three women: Natalia LL, Ewa Partum and Maria Pininska-Beres were connected by a common role of writing feminist art history on the masculinized map of Polish art of the 70s. 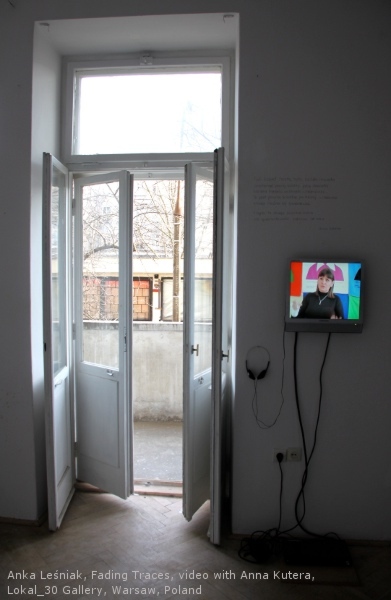 The exhibition curator – Ewa Toniak presented a new interpretation of the artists’ works. She did not put them, however, into any fixed contexts but only pointed at the ones in which they can be interpreted. 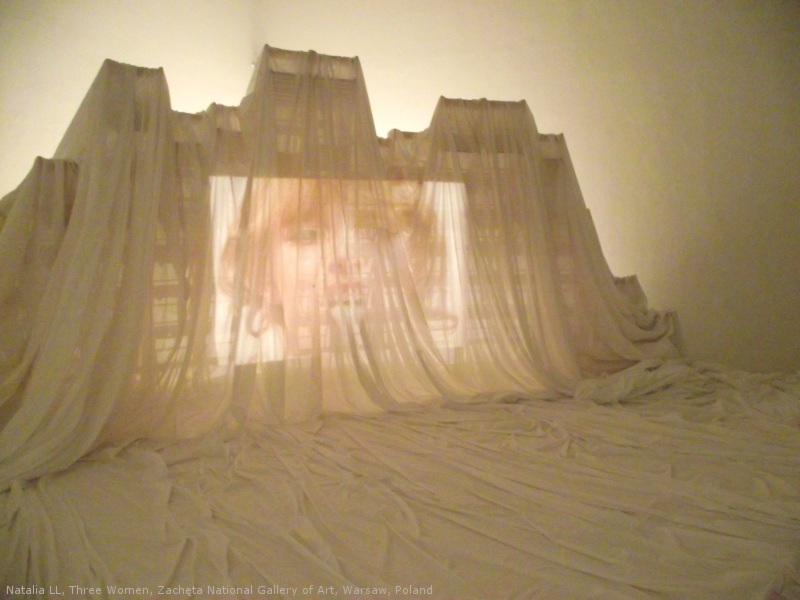 The exhibition in the Zacheta Gallery is built around three legible threads, represented by three women, that are however interwoven by common feminist subject matter. Everything is preceded by a strong chord – a short movie from the Polish Film Chronicle of the 80s (a communist propaganda film production company whose short movies were shown before each featured movie in theatres), whose punch line was that the art of women is interesting when, and only when one can see their naked bodies. Natalia LL and a woman as an object of desire – this is how one can shortly describe the artist’s presentation. Her works discuss a centuries-old sexism in art, that treated a woman as an object of admiration, examining, the viewer’s sexual need. These subjects are well known form the artist’s work, just like her post-consumption art. The works are presented in a few rooms and they create a kind of labyrinth with no exit, allowing the viewer to watch the often repeating, sexually perverse works without an imposed order and find one’s own interpretations. 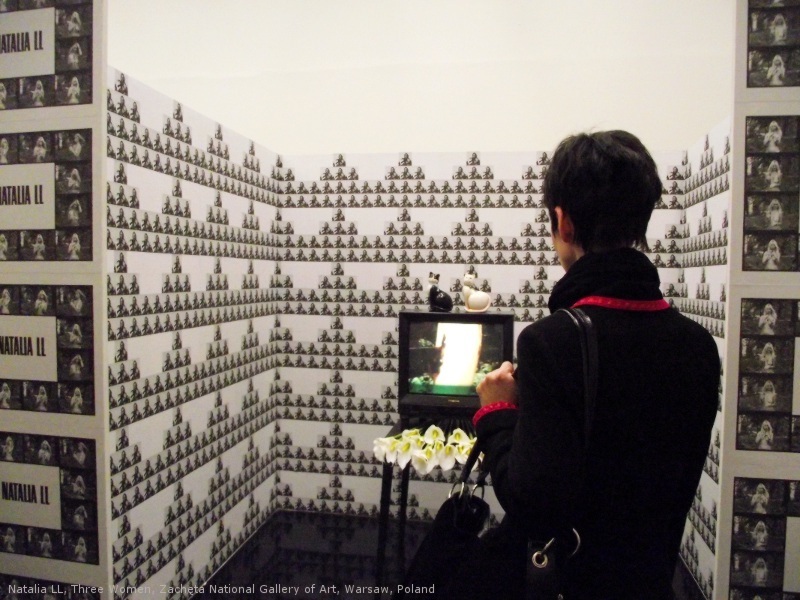 The room of Maria Pininska-Beres is arranged as her “charming little room” and it refers to the artist’s installation from 1975. There are soft, pleasurable sculpture-like forms, by which the artist raised the issue of abject art, which was very fresh in the 70s; the issue of a woman who does not the part. 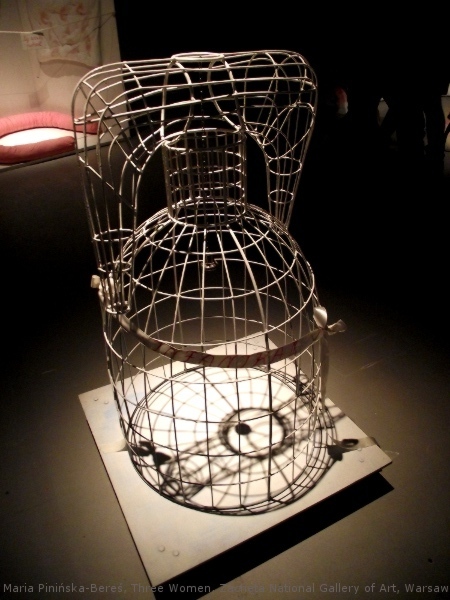 Also, the isolation of the artist’s works in an artificial room forces another interpretation: a woman as an object, Ibsen’s doll isolated from the society. 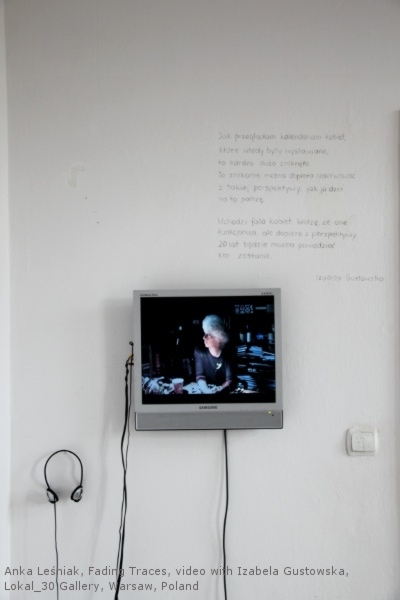 The role of a woman in society, or rather the symptoms of her absence is the thread that connects the works of Ewa Partum presented in the exhibition. Conceptual gymnastics, a series of photographs on which a man and a woman mutually gag each other’s mouth and wad each other’s ears is an excellent illustration of mutual gender relations. These are problems that were ignored in the 70s. 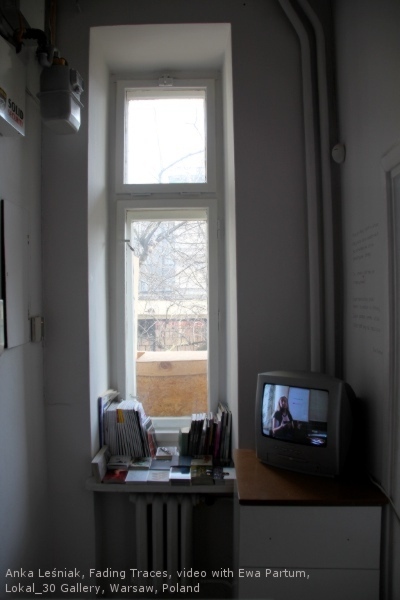 Violence and lack of social identity are issues critically illustrated by Ewa Partum in her films and photographs. What is the exhibition’s finale? It’s different for everyone. 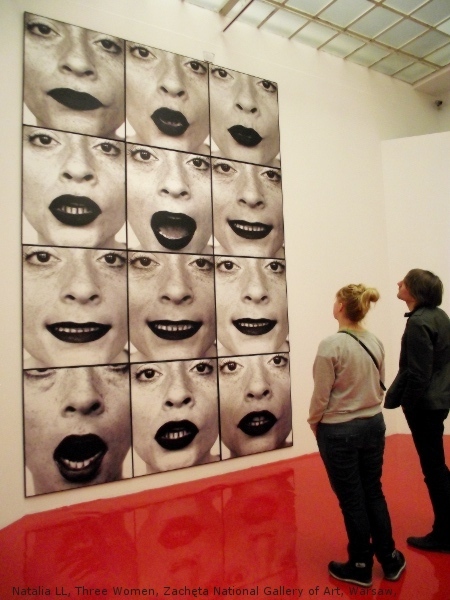 The situation can be exemplified by an interesting experience we go through in the gallery. 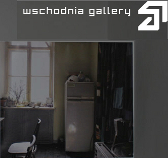 In the room devoted to Natalia LL there is an installation made of chairs, on which an artist’s photo is being projected from time to time. The projector is not a typical one, because it shows the photo orbiting around the whole room. Encouraged, I wanted to take a look at the machine, but when the light hit me, I didn’t see anything – just the blinding white. It perfectly illustrates the persisting model of how women function in art. They revolve and from time to time hit an “artistic projector”. In the closest contact, however, the phenomenon remains unrecognized. It’s an elephant effect – the closer to women’s art we are, the more invisible it becomes. Three Women and that’s it? The title on the one hand, by using the word “women”, opens a gender issue rather than an issue of the social role of an artist, but on the other – the number poeticizes the title but also enters some kind of a rigor. 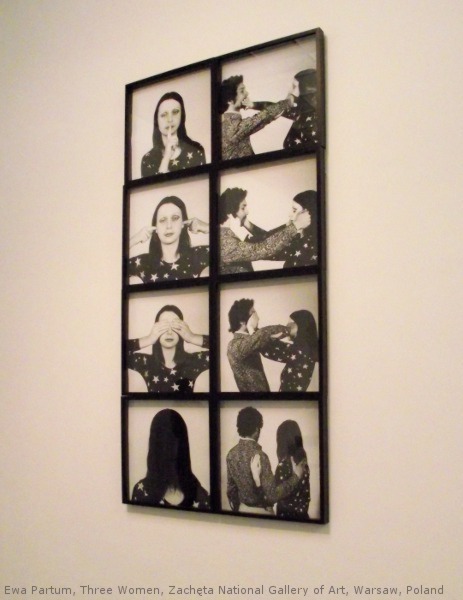 Anka Lesniak debates with the rigor of that historical three in her project. Three is of course some kind of a figure, pointing at the mainstream of merely a few names of women who forced their way through 40 years of art history – from the 70s till now. 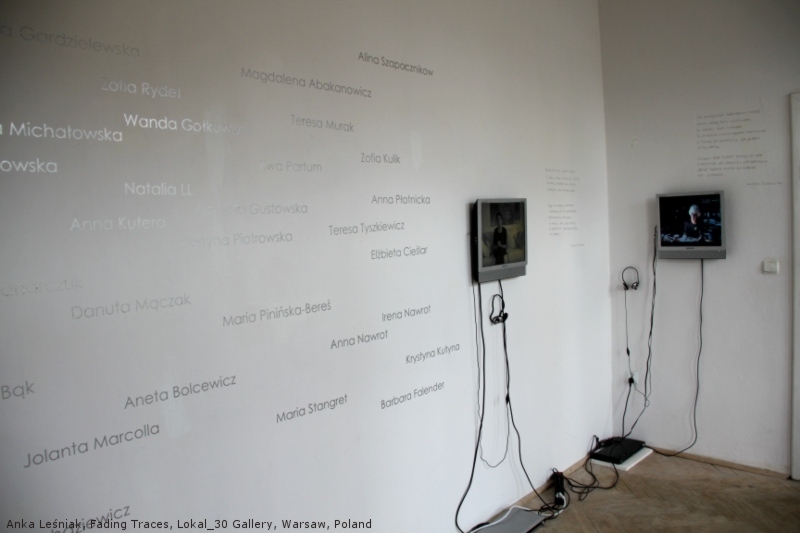 Anka Lesniak’s exhibition was presented for only a few days in the Lokal 30 Gallery in Warsaw, although an exhibition is not the best term. 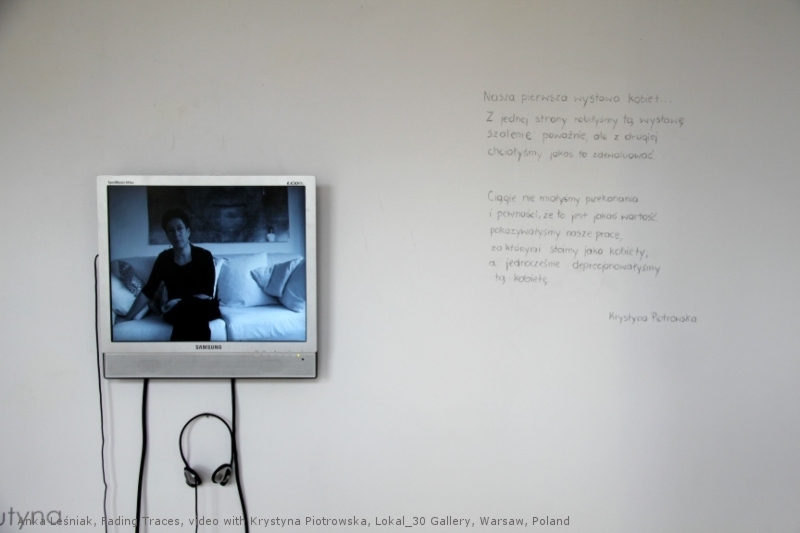 It was a multiple channel video installation consisting of interviews with women artists and the quotations from them. In a small room there was a babble of voices milling about, and even more meaningful silence of mute women on the video. 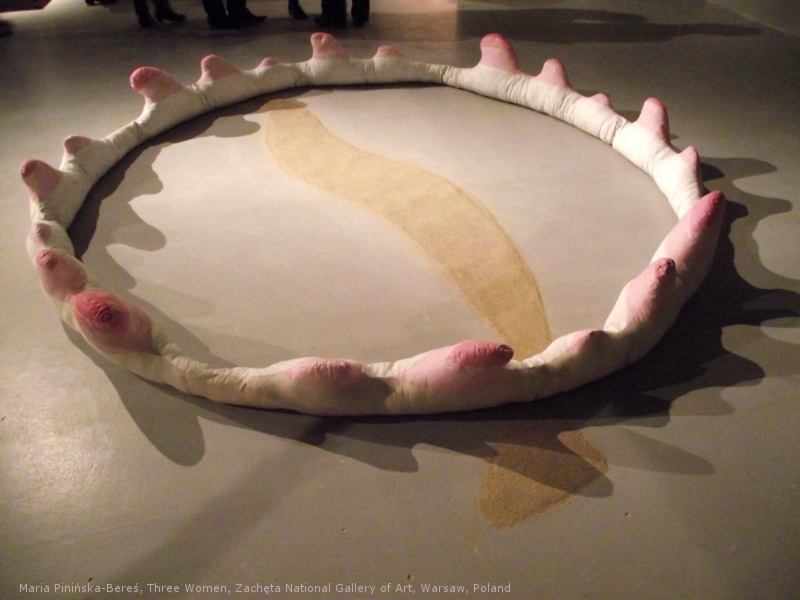 The women interviewed were not only Natalia LL and Ewa Partum, but also other artists who were active in the 70s: Izabella Gustowska, Anna Kutera, Teresa Murak, Krystyna Piotrowska and Teresa Tyszkiewicz. The debaters are artists but above all they are women living in the times of an apparent emancipation of women, whose equality with men was reduced to egalitarian exploitation by the state apparatus. The women tell us how they were functioning in the art field, but also about apparently mundane hardships of artistic work that were caused by their discrimination. 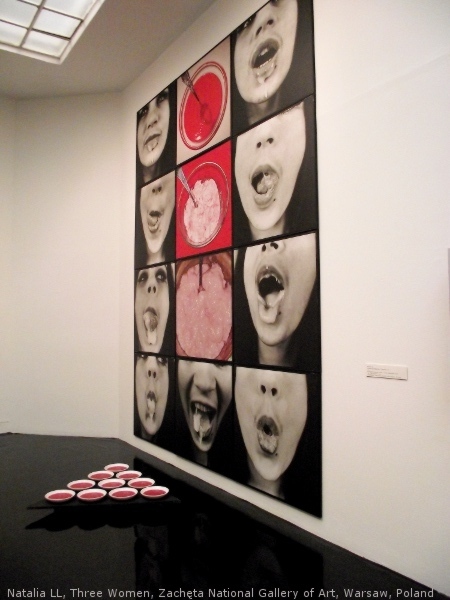 The exhibition provides two perspectives on this point. One is the historical, renewing in the memory, artists who, despite their great achievements, vanish in the patriarchal world of art. The other is maybe less direct. A perverse punch line is the question of the role of a woman and an artist today. 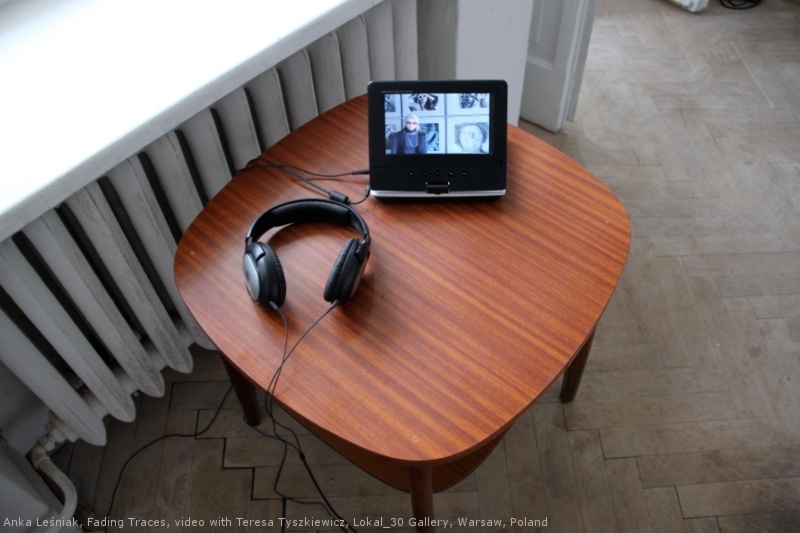 Anka Lesniak tries to find a fading trace from the title of her work, which connects her with the older artists. Aren’t the troubles of the 70s reflected today? Haven’t we fallen from the appearances of emancipation in the 70s into the same appearances 40 years later? 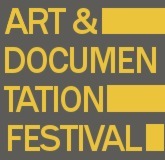 How many artists are going to make their way through to the historical recognition? The question remains open, but surely the promotion of both the newest and the older phenomena who were never publicized nor researched, may make their way to the emancipation of women’s art easier. What else does a woman have to do to enter a contemporary art museum? The exhibitions pose and answer the question at the same time. 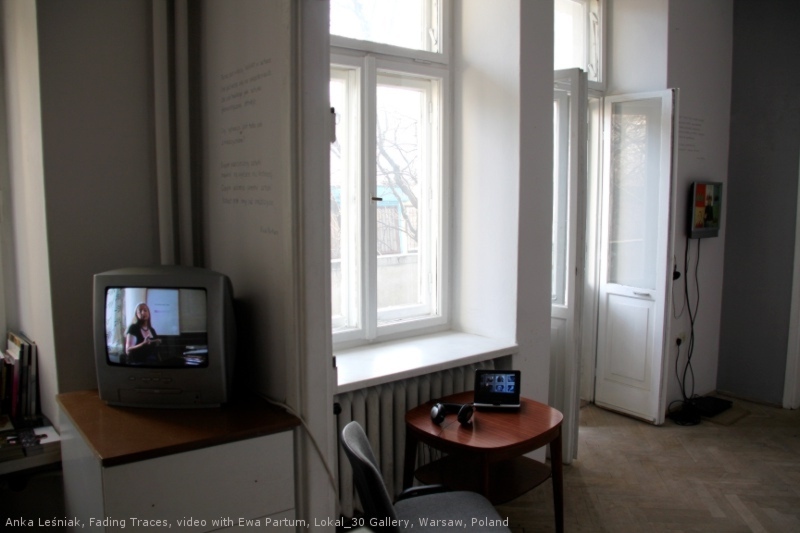 The authors of both events – Ewa Toniak from a curator’s perspective, and Anka Lesniak from an artist’s perspective, quite accidentally created a great diptych, that both methodologically deepens and historically broadens the field of feminist art. Art, about which one must be reminded and speak about, and which one must show in order to work out a bigger artistic representation than today.